Ever want to make the airport luggage carousel look like a kaiten-zushi conveyor belt? 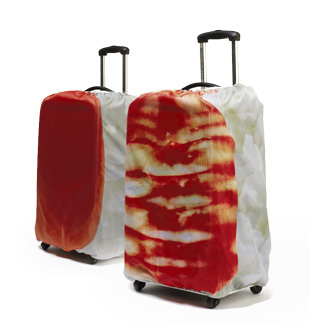 Parco now offers nylon suitcase covers that will turn your travel bag into a massive piece of maguro (tuna), ebi (shrimp), tamago (egg) or salmon sushi. Priced at ¥3,024, they’re available at Shibuya Parco Part-1 and Omise Parco on the fourth floor of Narita Airport Terminal 1—though the tamago style is only available at the airport. Or just order any of the four styles online at . 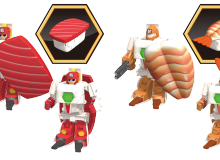 Made from polyester, they’re sized for 70-liter bags (42.5 x 30 x 64cm), so monster sushi is for the moment off the menu. Just don’t try to eat your luggage when you’re jetlagged and hungry.